Munson Stadium was built by Works Progress Administration workers from 1938 to 1940. 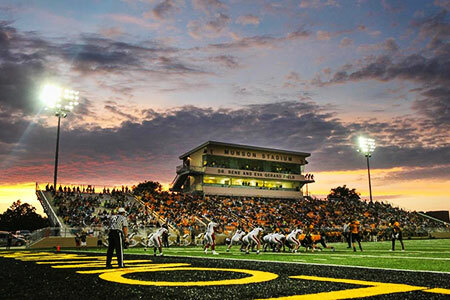 Construction of a new stadium will begin demolition of the home stands in December of 2013. Renovated stadium opened August 2014.